For those who aren’t completely aware of the important and large part of history; in 1912, April the 14th, the largest ship ever built (at the time) named the HMS Titanic sunk midway through it’s journey, and with it taking the lives of hundreds of people. People believed it to be unsinkable, as it was mans greatest naval creation, and mans arrogence led them to the deaths of many and the sinking of the unsinkable. However! 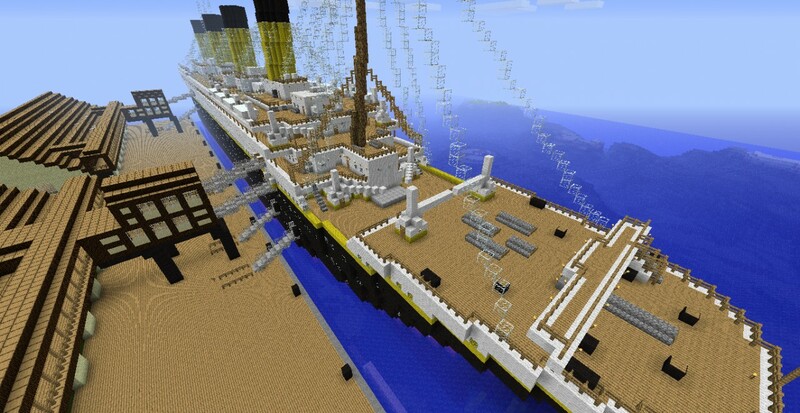 Be this as it may, the ship itself is beautiful, and many people have done a lot of work trying to recreate the Titanic in Minecraft, however not a lot of them have been to scale. Not anymore. The Most Detailed 1:1 Titanic Map for Minecraft 1.11, 1.10.2 and 1.8.9 introduces a Titanic Ship Build, to scale for the players to use and admire. Rooms, the decks and all the small and large details of the Ship recreated in the game of Minecraft to extreme detail. I love this Map in particular because the designer hasn’t just used images, but has gone into a lot of depth in tje outer creation, and taken the extra time and dedication to do further research and create an awesome Map, with detailed (to scale) exterior and interior too! Adding a historic, and beautiful ship into the game of Minecraft. 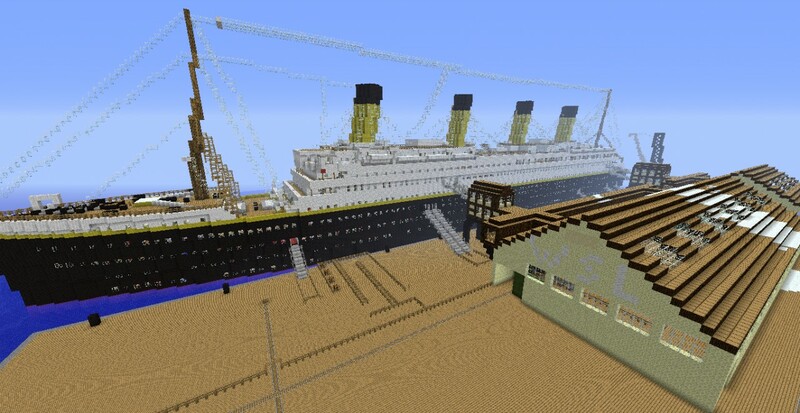 Recreating the Titanic ship in the game of Minecraft, to scale. Great building, and an awesome replica. 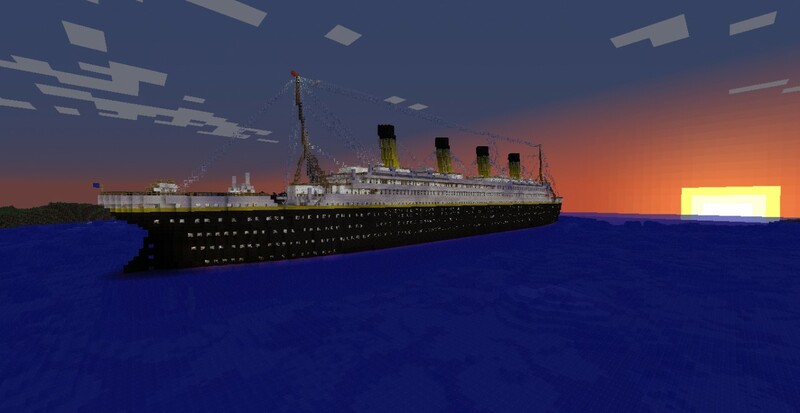 Download the Most Detailed 1:1 Scale Titanic Map for Minecraft 1.11, 1.10.2 and 1.8.9 zip file. Drag the world folder into the ‘saves’ folder. Close all the tabs.